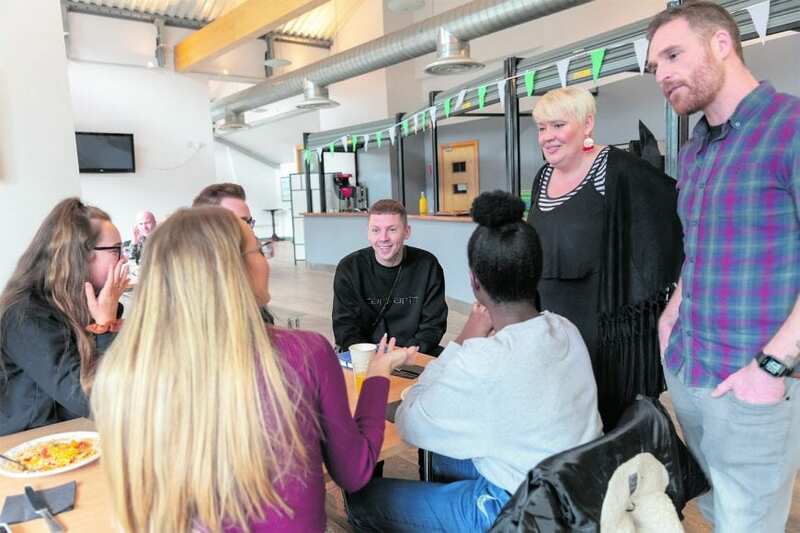 The popular musician and mental health advocate was visiting the area to meet and speak with local mental health and community leaders, as well as young people from the area who are advocating for better approaches and attitudes to mental health. 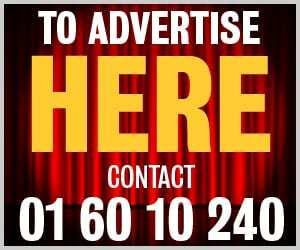 The event, which was part of the First Fortnight European Mental Health Art and Culture Festival, was held at Tallaght Stadium on Saturday, January 19. As well as Green there were speeches from Mary McLoughlin of HOPE Suicide Prevention Drop In Centre in Tallaght, Jeff O’Toole of Jobstown Safetalk Programme and Old Bawn native JP Swaine, co-founder of First Fortnight with performances from local singer / songwriter Justin Casey and poet Stephan James Smith who is from Kingswood. Deputy Mayor Cllr Cathal King told the audience the event was organised to bring local groups together to connect and learn from each other’s experiences with a view to improving the positive mental health of the entire community through leadership. Stephen Paul Manderson, better known by his stage name Professor Green, spoke openly and honestly about his own mental health experiences and advocacy journey. He explained how the 2015 BBC documentary Professor Green: Suicide and Me was released to an overwhelmingly positive response, something he genuinely didn’t expect to happen. In the documentary, he undertakes an emotional journey to uncover why his dad, Peter, took his own life. Only a few months before the suicide, he was due to reconcile with his estranged father six years after they’d last spoken. His advice to anyone struggling with mental health issues? “Sleep well, eat healthy, exercise, spend less time on your phone and do something you enjoy”. He encouraged anyone suffering in silence to reach out and find someone to talk to and how a creative outlet can also help.